5 Bedroom Detached House For Sale in Airdrie for Offers Over £235,000. 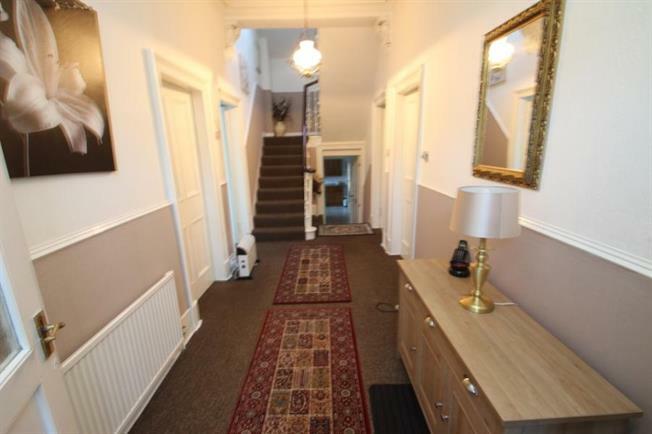 The property on offer comprises a deceptively spacious traditional five bedroom detached house. The accommodation on offer extends to entrance vestibule, broad reception hallway with solid staircase leading to upper level ,lounge with decorative cornicing and feature fireplace, separate sitting room with decorative cornicing and fireplace ,kitchen, separate utility room, study/office , three double bedrooms, tiled showerroom and additional cloaks/wc. On the first floor there are two further double bedrooms and useful cupboard ideal to convert to upstairs toilet. The property features gas central heating, double glazing and has a large detached garage. There are gardens to the front , side and rear. Airdrie has a good selection of shops , including Gartlea Retail Park, and schools at primary and secondary level. The nearby Drumgelloch Train Station provides direct access to both Glasgow and Edinburgh City Centres.